A death in the family is often more work than grieving alone. As the surviving family mourns the death, there are usually quite a few business transactions to take care of too. 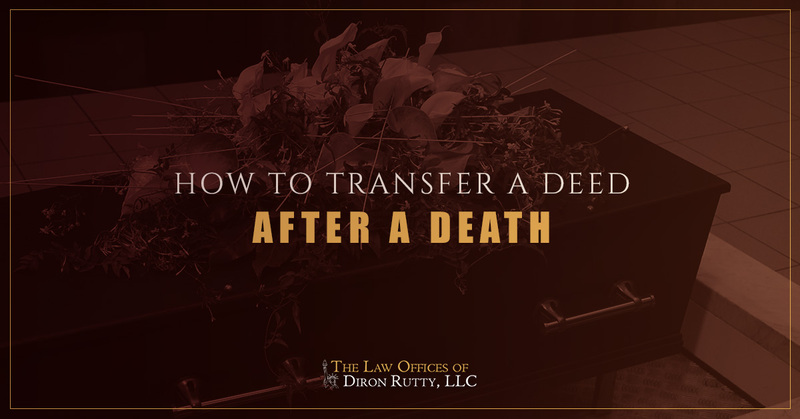 If the deceased person was the last living person living in their home, the surviving will need to transfer the deed of the house. This process can be straightforward with the help of a real estate lawyer. Not only does a lawyer have the expertise to navigate the necessary paperwork, but handing the torch to an expert means you have the brain space to dedicate to other matters, such as taking care of yourself. If a widow who lived alone dies, it is necessary to make the property title “clean.” That is, it must be legally transferred to someone who is alive and able to take care of the house or move forward with other common real estate practices, such as sell it. An experienced real estate lawyer can help transfer the property deed, which will get the ball rolling as the family begins to settle the estate. There is no need to immediately decide whether the home should be kept in the family or sold. But the sooner a deed can be transferred to a surviving person, the better it will be. It is important to legally own the home — typically through probate, and then decisions about how to move forward can be made later. You can also transfer the deed without probate. You’ll need a death certificate and possibly an affidavit of ownership if there were more than two owners on the property. Each situation is unique, which is another reason working with a real estate attorney to transfer deeds can cause fewer headaches along the way. In order to make the deed transfer as easy as possible, you can do some initial work to make sure you’re ready to work with a lawyer. Deeds typically transfer first to a surviving spouse and then heirs. Therefore, if there is not a surviving spouse, the house will go to the children. If you have siblings, it is easiest to transfer the deed to one person, so if you can identify who that person will be prior to meeting with a lawyer, the faster the process will go. The deceased person may have left a will stating who the house should go to. Through probate, the deed can be transferred to that person specifically, even if there is a surviving spouse or other heirs. For more than 20 years, the team at The Law Offices of Diron Rutty has been serving New York City and Poughkeepsie with a variety of real estate legal counsel. We provide a variety of services to help people navigate the confusing and legal-heavy real estate world. Connect with our team today to learn how we can best assist you with a deed transfer. Use the form below or give us a call to schedule a consultation.